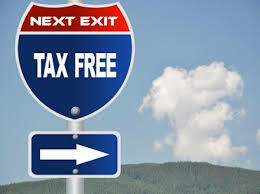 High Sales Tax and No State Income Tax… Friend or Foe? Tennessee now has the highest sales tax in the country, jumping recently from second to first place after Louisiana legislators lowered their state’s tax rate down to 4.45 percent from 5 percent. Louisiana’s average combined local/state sales tax rate dropped to 9.45 percent, down from 10.02, and is just .01 percent lower than Tennessee’s average rate of 9.46%. While many argue that having the highest tax rate and high sales taxes are nothing to brag about, does having no state wage income tax settle the differences? There are many factors driving people and companies to Tennessee. Low cost of living, above-average public primary and secondary school systems, and no state income tax are key elements. Compared to the national average, Tennessee’s cost of living is comfortably low with average housing costs at $140,000 in some areas. The public school system, largely funded and dependent on sales tax revenue for survival, uses sales tax to pay teachers, build new schools, purchase textbooks, and fund state regulated collegiate scholarship programs. Additionally, public safety employees such as law enforcement, emergency management, and firefighters are all paid through government funding. The majority of the revenue needed comes from sales and property taxes in the area; therefore, higher sales tax is capable of generating new resources quickly. New resources equate to better schools and safer neighborhoods…definitely friend. For small businesses, the foe in collecting, calculating, and reporting of sales tax may be confusing, but is the responsibility of the seller to remit to the state. For every $100 in merchandise bought, $9.46 goes to the municipality or state government. Small business owners need to be prepared to collect, report, and remit correct sales taxes to avoid penalty. With large tax amounts being taken out of every profit dollar, where’s the advantage? The offset is that with higher sales taxes contributing to better schools and safer neighborhoods, the more people and families move to the state and purchase the goods that generate the sales tax. Is it a WIN-WIN? That’s a great question. Many factors influence business and residential location and investment decisions across the United States. High sales taxes are something legislators can control and also demonstrate immediate impact. 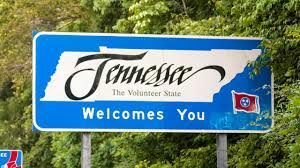 Despite the complaints surrounding high sales tax, with an average of 94 people per day moving to Tennessee and one of the lowest unemployment rates in the country, proponents suggest that states with no income tax on residents become beacons for growth. Think about Google’s $600-million-dollar data center breaking ground in Clarksville, Hospital Corporation of America (HCA) world-wide headquarters based in Nashville, or FedEx Corporation’s $65-million-dollar producing Memphis headquarters as examples of the world’s largest companies calling Tennessee home. Research indicates that the primary drivers of where people live and or choose to move are job opportunities and family reasons. States with no state income tax tend to outperform in job and population growth and advocates for no state income tax can all agree, cutting state income tax will boost take home pay, resulting in more goods sold.